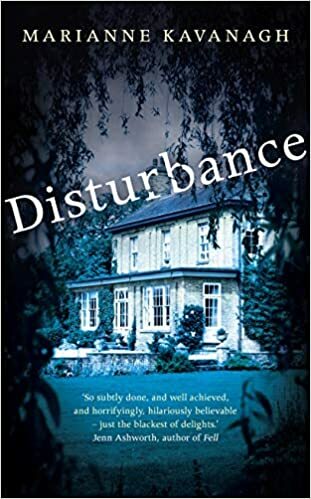 Delighted to tell you all about my experience with the book Disturbance by Marianne Kavanagh. I have a been sprinkled by the book fairy with some exceptional book dust lately. Disturbance is high up on that list. I still have a book hangover days later. Out now in all formats. Here is a little bit about the book and my full and honest review. I was gifted a copy of the book to feature and review on the website. You don’t know what’s going on in Sara’s house… Or in her head. Sara is lonely. No one talks to her – not even her bad-tempered workaholic husband or her two beloved sons. Her solace is her house, the biggest in the village, hidden away behind high hedges. Then she strikes up a friendship with Katie, a college student living nearby, and a new world opens up. Her neighbours have been dying to get to know her, and they rush to help when Sara is devastated by a terrible accident. But nothing is quite what it seems. And when new betrayals and shocking revelations disturb her peace, Sara realises she has no choice: she must act to protect the safety of those she loves. It has been about a week since I finished the book and I have thought about it every day. A very long book hangover indeed. It is a wonderful engaging read. I find myself missing the characters and wondering what is happening. I often get a little of this after a book but not to this extent. In Disturbance we meet Sara a loving mother to two boys who is introverted and shy. Her husband is suffering from back pain and at times in his agony he can be rather loud and grumpy. Often bringing an air to the house. Sara hasn’t thrown herself into the village life. With social anxiety and a nervous disposition holding her back. Then Katie knocks on her door and Sara’s life changes. At first the book reminded me a little of Desperate Housewives but less cheesy and certainly better writing. The idea of how gossip is spread and the impact it has on the people involved. The book is consistently engaging, there is always something new happening and it keeps you turning the pages. In the 1990’s I remember reading a series of book by an author called Rebecca Shaw. As I started to read Disturbance it reminded slightly of the same vibe. Obviously because both are set in a village and you get to know the local characters etc, that is where the comparison ends. The Rebecca Shaw books were cosy, upbeat and heartwarming. Disturbance is memorable, nerve wracking and honest. The only things I didn’t like about the book are the cover and the title. I am worried it will put would be book lovers off. This book would certainly appeal to contemporary fiction readers just as much as crime fiction ones. I feel the cover and title is just not good enough for the quality of the book. I got very annoyed as I think it deserves a much better package! Marianna Kavanagh is a born storyteller, extremely creative and clever with her narrative. I love how she brings to life everyday events and captures them so effortlessly. I highly recommend this thrilling mystery, suspenseful read.If you want something different to read that really can’t be put in one box of genre. Then snap this up, I guarantee you will close the last page and go, “WOW”. Kavanagh creates a cosy safe atmosphere and then punches you hard with a plot that leaves you breathless. A massive five stars from me. I would love to know if she plans out her story before she writes it or if she writes as it comes to her. Would you write more stories from the village from another character’s perspective perhaps? I think the book would make for a superb Sunday night BBC drama, who would be your favourite actors to play Sue and Katie?